I saw this film recently, It is the only out all the twelve films I have named and will name, that I witnessed this year. But, that dosen't make it any less does it. French cinema is one of the most prestigious cinema in the world, and this is my personal favourite french film, Jean-Pierre Melville, arguably the greatest crime director ever, and crime is my personal favourite genre, that itself explains a lot. The opening shot of the film was more then enough to hook me up, a man lying on the bed, smoking. This is one of the most beautiful films I've ever seen, each frame of the film is stunning. It is one of those films, with less dialogues, that is what is the speciality of Melville. He uses silence like no one does, till in a while in a film, we don't get even a single spoken line, but we get to know so much about the character Jef Costello. Besides, all that, the performances in the film are powerfully rich. 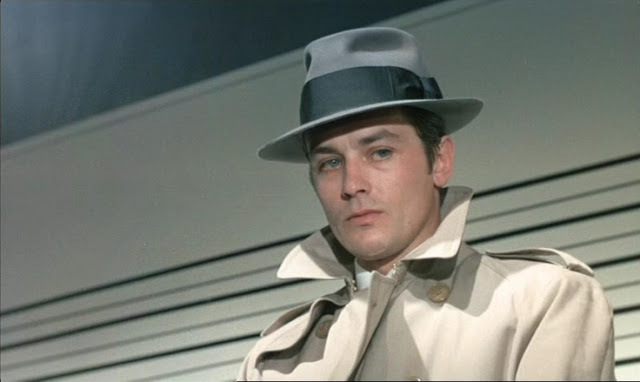 Alain Delon, he showcases his best performance, the look in his eyes itself a big accomplishment, I cannot even imagine someone else portraying the character Jef Costello. Performance made by each and every character, even the small one's were path-breaking. The killing scene, is one of the best killing scene ever showcased, this film's every scene is unique and rich in their own way. It is a film, where there is not even a single dull moment, it is very cleverly written and directed. It creates an atmosphere that is mesmerizing. The chase scene's in the film, is where I couldn't get my eyes of the screen, that is what is a genius level of filmmaking is. This is one heck of a film, one of the most stylish film ever made, the atmosphere that Melville accomplishes to create in the film resulted in one of the greatest film ever made, or atleast one of my favourites ever. 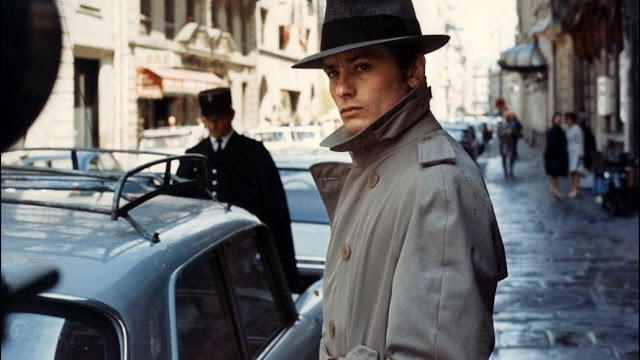 This is a cinematic embodiment of "cool", it is exceptionally realistic and cold, as I have said this before I love crime films, and Le Samouraï is one the best ever made, and certainly one of my very favourites. If you haven't seen any Melville film, this might be the one to start with. All thanks to Jean-Pierre Melville for giving us so many masterpieces to watch and learn. Le Samouraï is a film, which I won't forget and rewatch from time to time. Hope you enjoyed my fifth instalment in favourite films series! Yup it is, all thanks to you ;) haha!